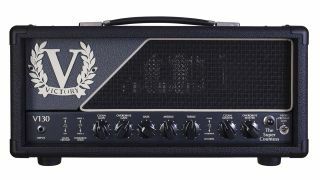 Victory Amps has expanded its Heritage Series with the release of the V130 The Super Countess guitar amp, a 100W, wooden-sleeve head. 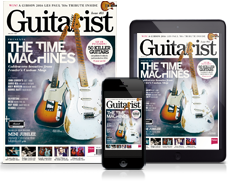 An up-scaled version of Guthrie Govan's V30 The Countess, The Super Countess packs a 6L6 power section and four footswitchable modes, two per channel. The clean channel now offers a crunch mode for edge-of-break-up to rock drive, while the overdrive channel features the V30 OD sound plus a new voice with tighter bottom-end and slightly lower gain. This new voice has been tweaked by Rabea Massaad, and consequently, is in the tonal ballpark of of Massaad's fave Victory amp, VX The Kraken. Other features include a low-power 30W mode, plus a series effects loop. The Super Countess is available now for £1,329/€1,529/$1,499 - head over to Victory Amps for more info.